Professional hair and makeup artists have reams of qualifications and insider knowledge on how to enhance your natural beauty. Whether you’re looking for something out of your comfort zone or are opting for a ‘natural’ look – it all takes facial understanding and artistic skill. I have spent years training, learning and developing my skills and am constantly investing in masterclasses and workshops to better my craft and stay on top of the latest trends and techniques. 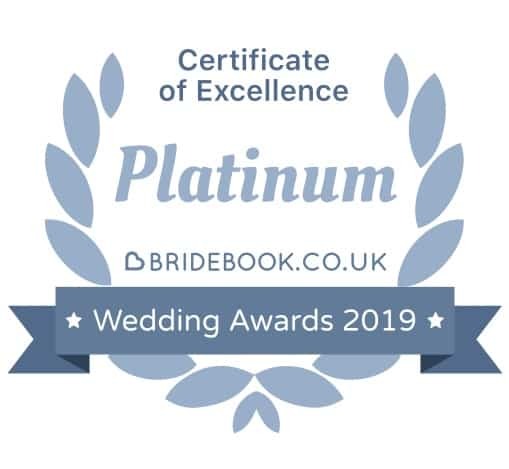 I’m delighted to say that in light of this I have been awarded with a prestigious Platinum Bridebook Award, recognising excellence in the wedding industry. 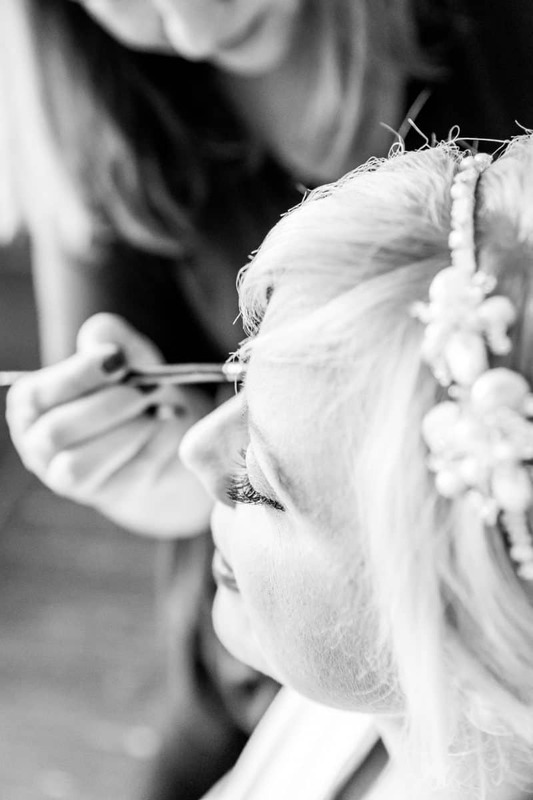 Bridal hair and makeup is about so much more than applying products. I work closely with each of my clients, getting to know them and the things they love and don’t love about the way they look, and assessing the natural qualities and quirks that make you you. Working with a professional hair and makeup artist will enhance your natural beauty and you’ll see yourself as you’ve never seen yourself before. That is my job – to make you feel like the most beautiful, confident version of yourself. I have a beauty case that’s bursting at the seams with high-end products. To build up a collection like this yourself, you’d need to spend a fortune. Investing in a professional makeup artist can actually save you money. I bring an array of products from the top brands out there to every trial and wedding that I work on. You can rest assured that I will be able to match any skin tone, cover blemishes, hydrate and gently care for sensitive skin and create a look that really represents you. How many times have you returned from work to find your makeup literally a shadow of its former self? Makeup wears off during your normal working day, never mind your biggest day. Hair is perhaps even more fussy. On your wedding day, you’ll most likely be heading from daytime daydream to evening party mode, and you might be battling the elements with all kinds of weather, too. An expert hair and makeup artist has tricks up their sleeve to make sure your makeup stays flawless and your locks are lovely until long past midnight. Your wedding day is probably the day you’ll be in the spotlight the most. From your photographer’s high definition camera to the iPhones of all your guests – your face will be snapped again and again. Even if you rock the natural look on a day-to-day basis and want your wedding to reflect your natural beauty, getting the look you want to reflect in a photograph takes a lot of work and knowledge. A professional that can make sure you look your best self from every angle is a priceless investment when you come to look back over the pictures from your day. Let’s face facts: You may cry on your wedding day. It’s an emotional time, and it’s healthy and beautiful to let your feelings show. What you don’t want is rivers on your cheeks and a mascara mess to give you away. An expert can ensure you have tear-proof eyes. Special primers, powders and an array of the life-proof products can mean dewy eyes not dreary eyes at the end of the day. 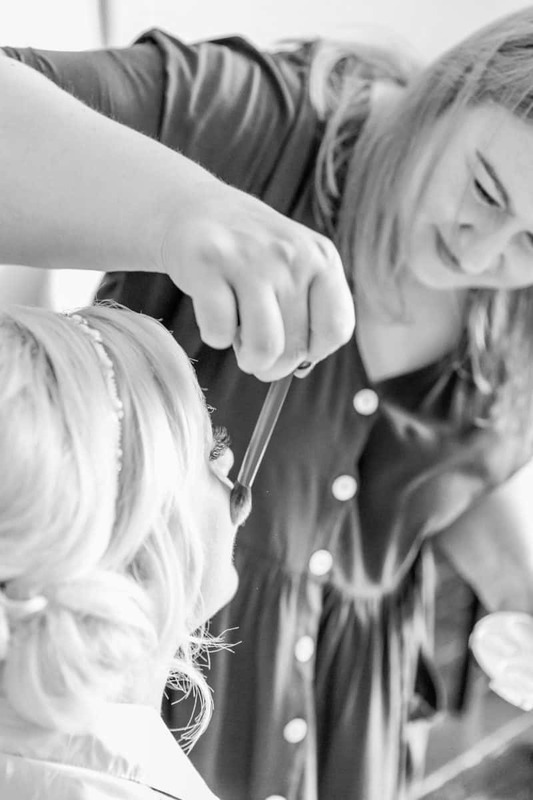 A hair and makeup artist can make sure that you are a picture of perfection. Getting just the right look is all about detail. You want your hair to frame your face (whether it’s up or down), and to complement your makeup. 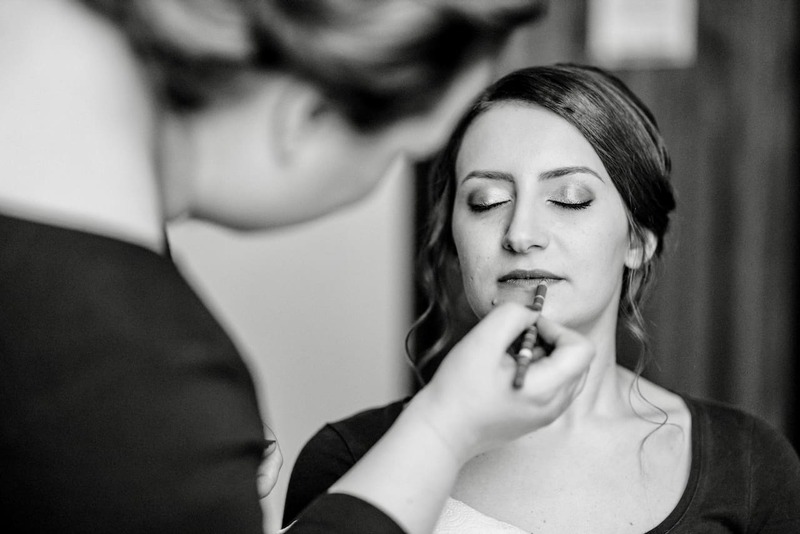 An important part of the work I do with my clients comes before the big day itself, when I advise you on the best hair and skin care routines that you can implement at home, to make sure you’re looking your best before your wedding day dawns. Great skin and healthy hair can be your greatest accessories. 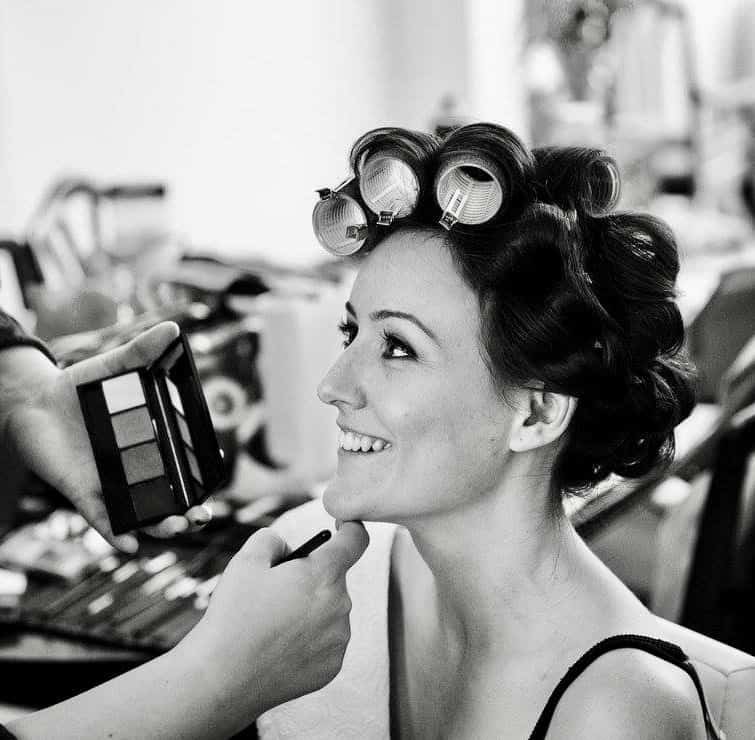 Unless you’re a trained hair and makeup artist, a professional will always be a worthwhile investment for your wedding day. But, aside from the skill, the expertise and the guaranteed quality you’ll get, ultimately you’ll save yourself so much stress on the day. Sit back and relax with a glass of fizz, and trust that you’re in safe hands with me. 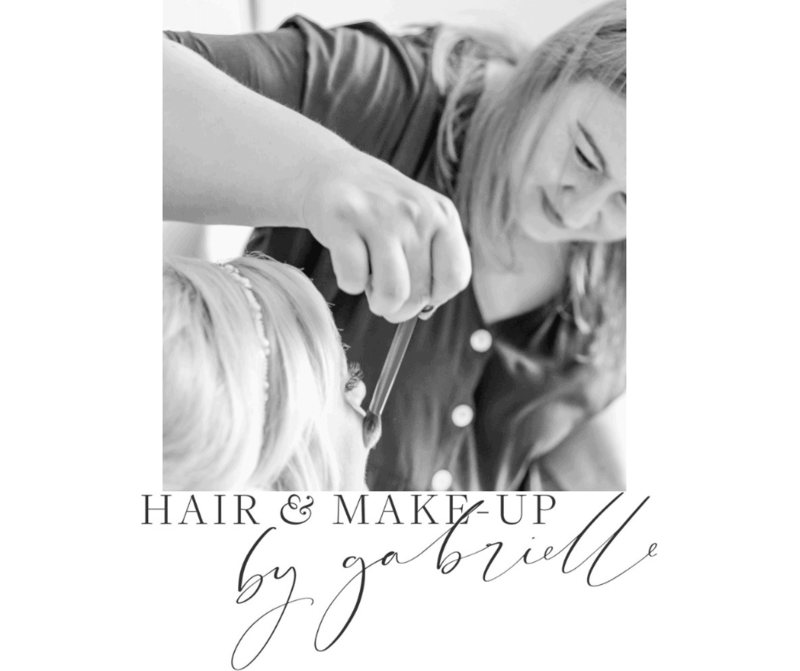 Having your hair and makeup done is a treat and chance to feel pampered, and after months of wedding organisation and stress, I’d say you deserve it! 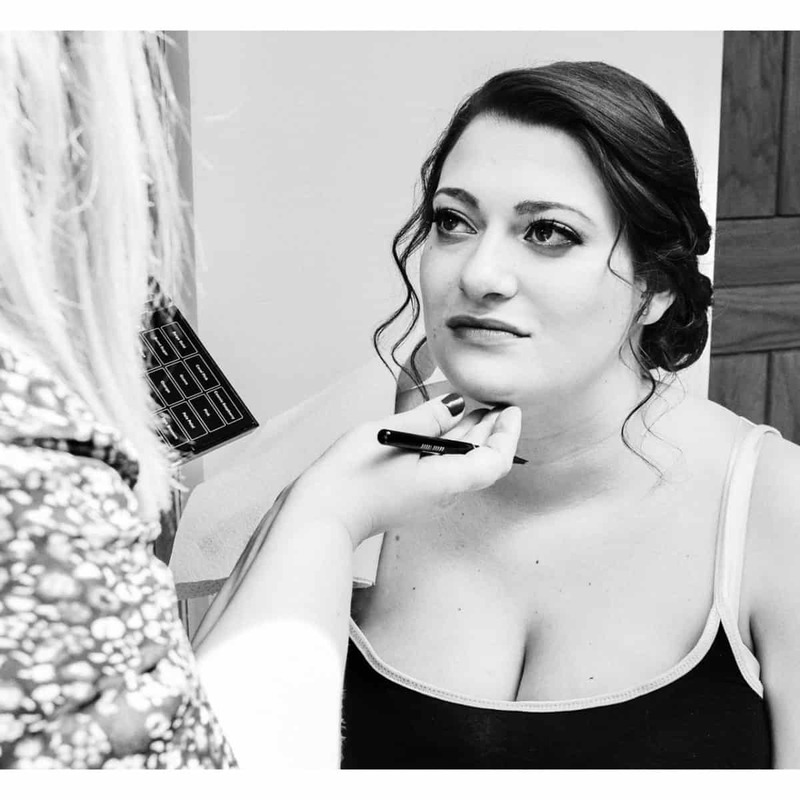 If you’re looking for a hair and makeup artist for your wedding day, or if you have questions about the way I work and what to expect, why not get in touch? I’d love to hear from you and find out about the beautiful wedding you’ve got planned.